The first thing you need to do is make sure that you understand the roles an officiant fills. Most notably, this person isn't just the person you stand in front of as you say your wedding vows. In fact, that's merely the culmination of work behind the scenes. Rather, the officiant works with you to help craft the wedding ceremony, incorporating traditions and rituals, your personality, and new trending ideas. If you are getting legally married, an officiant ensures that the requirements are met so that your marriage will be officially recognized by the state. Many officiants also provide pre-wedding counseling. The right person to marry you should be someone that knows you well, is a good public speaker, and takes the job seriously. This person should also display confidence in front of a crowd and be able to do more than just read from a script. During the ceremony, an officiant may be called upon to smooth over any unexpected moments that come up, such as the best man forgetting the rings or a late start. At the same time, you don't want someone who is an over-performer who will hog the spotlight. In short, you want someone professional and sincere. If you're getting legally married, you'll need your friend to be legally licensed to marry you. In many states, this is as simple as getting ordained online through a non-denominational organization like the Universal Life Church, the American Fellowship Church, Universal Ministries, or Rose Ministries. In other states, they may need further certification, or it may not be legal at all. Check with your Secretary of State's office or City Clerk's office. A professional clergy member also makes sure that your marriage license is completed correctly. In this DIY route, you'll need to ensure that everything is signed and filed the right way. Find out who is writing the wedding ceremony. In fact, you may want your friend's help in choosing wedding readings, finding wedding vows, writing the introduction and blessing, and putting together a timeline. Alternatively, you might want to make these decisions on your own and have him or her simply follow your directions. As long as you communicate expectations, either approach is appropriate. Think about what your officiant will wear. Remember that your friend will be in the background of your most important photos, so simplicity and timelessness is key. Comfortable shoes are also needed. Some people believe that getting ordained online is as quick as a few clicks of your mouse. However, you'll need to do it a few weeks in advance so that the company can send you the supporting documentation. Make sure to leave enough time for this part of the process. If your city or state requires additional certification, you'll need even more time to get to City Hall. Overall, it can be daunting to navigate the legal regulations to ensure that your marriage will be legal. In fact, many couples choose not to risk something so important. Instead, they hire a freelance justice of the peace or clergy member to co-officiate with their friend. Others choose to have a quiet City Hall wedding immediately before their wedding with loved ones, avoiding any legality questions. 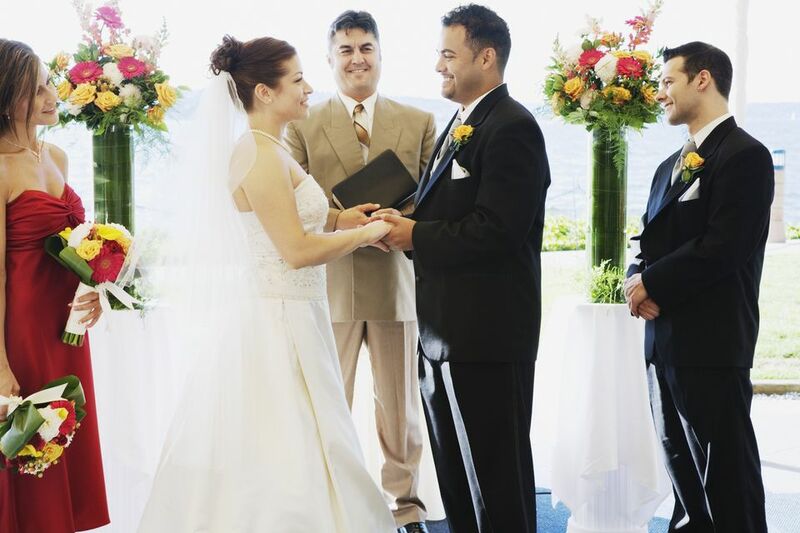 Consider all of your options before selecting your officiant.